At first, Charles and a group of friends solicited food from local restaurants and distributed it on the weekends. Project Angel Heart’s first meal was a pan of lasagna donated by Racine’s restaurant and delivered to 12 clients. Soon we needed our own kitchen, and St Barnabas Episcopal Church in Capitol Hill welcomed and embraced us (Robbins is pictured above, at left, packing meals in St Barnabas’ kitchen). 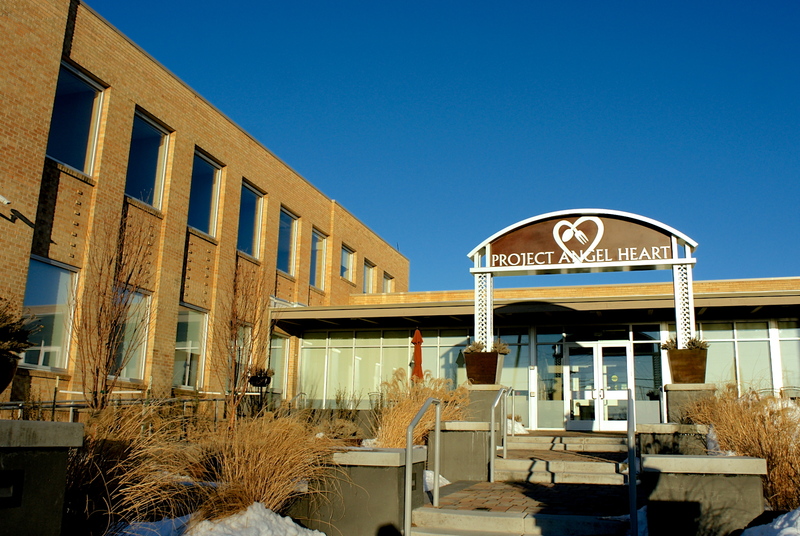 Project Angel Heart grew steadily over the next three years. By 1994, we were preparing and delivering meals six days per week, and demand for nutritious meals for those living with HIV/AIDS was increasing rapidly. In 1996 we moved to a larger kitchen in Our Savior’s Lutheran Church to keep up with the growth in demand for our services. By 1999, we recognized that the need for our services extended beyond people living with HIV/AIDS. The need for home delivered meals for people living with other serious illnesses like cancer and congestive heart failure caused us to expand our mission to include people living with any life-threatening illness. This expansion required more physical space than was available in the Our Savior’s Lutheran Church kitchen, so community members raised $600,000 for Project Angel Heart to relocate to a spacious, modern, affordable, and easy to clean kitchen in Northeast Denver in 2001. Project Angel Heart continued to grow, converting to a primarily frozen meal delivery system that year and launching service in Colorado Springs in 2005. Our program’s growth caused us to run out of space again in 2007, so we launched a campaign to raise the funds needed to buy and renovate a 30,000 square foot facility in Denver’s Globeville neighborhood. 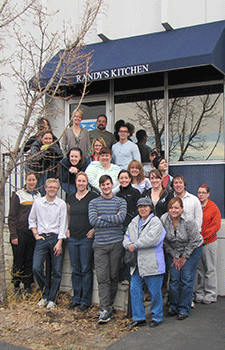 Thanks to generous partners in the community, we met our $7.1 million campaign goal, designed our state-of-the-art kitchen, and moved in to our new home at 4950 Washington Street in 2012. Given the capacity of our new space, and to honor the capital contributions of our supporters, Project Angel Heart’s Board of Directors set a “GROW 30” goal of increasing the number of meals and clients served by 30% between 2012 and 2015. We are proud to say that we accomplished our goal, serving over 1,100 clients per week by the end of 2015. In 2018, Project Angel Heart plans to deliver 385,000 medically modified meals to at least 3,000 Coloradans living with life-threatening illness in Denver and Colorado Springs. We will serve children as well as seniors, clients as well as their families, and many individuals who are living in poverty. About 80% of our clients will live in Metropolitan Denver, while 20% will live in Colorado Springs. We will also modify meals for 65% of our clients, meeting dietary needs specific to their illnesses, treatments, religious beliefs, and allergies.